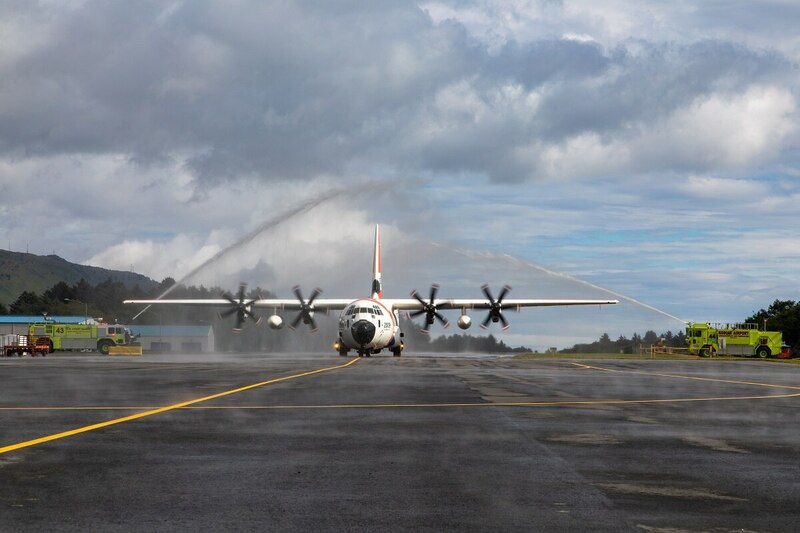 KODIAK, Alaska — The U.S. Coast Guard has received the first of five new multipurpose aircraft that will replace its aging air fleet at an air station in Alaska. The Kodiak Daily Mirror reports the HC-130J Super Hercules landed at Air Station Kodiak this week to replace one of the five C-130H airplanes in operation at the station. The remaining four planes are expected to be delivered by late next year. The military aircraft serves multiple functions, including use in search-and-rescue, patrol and law enforcement operations. The new model, built by Lockheed Martin, costs about $85 million when fully outfitted with features required by the Coast Guard, like sea search radar, infrared sensors, enhanced communications and life rafts, the Coast Guard said. “It’ll be nice to fly something that’s a little more modern,” Stec added.